A lovely blemish free pressing, really pleased with it. And the music is delicious. Love to finally have this, a long overdue reissue, but I HATE it when they flip tracks around for no reason. Doesn't diminish the overall presentation but putting more songs on the A side because...what? WARPLP106R arrived in the post this morning and I notice that it's in a tip-on jacket. Was this the case on the original vinyl issue? Can we have six stars for this one? A true classic, every song. An aural garden. Sadly singer Trish Keenan passed away a few days ago so i felt it was time to pay justice and homage to Broadcast, a contemporary fantasized swinging 60s band like no other. Their sound and aesthetics are echoing a legendary period almost better than the original, as if living 35 years after the dreamed times allows to recut and keep only the bettered, filtered fantasy of these. This shows particularily on a song like "Man Is Not A Bird", an insane faultless trip through James Bond/John Barry Soundtracks, library music, Avengers' imagery, early Syd-Barrett perfumed Pink Floyd, subtle Elephant's Memory-like 60s obscure bands to listen to while a gentle, hazy mermaid gently drops the rarest sort of LSD in your tea while hypnotizing you with her endless pale blue eyes. As stated on some of the best 60s psychedelic pop records' sleeves, "this music is deep blue with delicate rose flashes". Thanks and memory due to miss Keenan for these moments of cascading, echoing, melodic beauty. 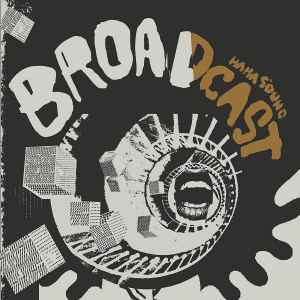 Broadcast seem to continue their angular pop fashions with <I>Ha Ha Sound</I>, their second full album. Even though their melodies are as slanted as ever, this album isn’t quite as compelling as <I>The Noise Made By People</I>. “Pendulum,” the first single, doesn’t quite make the impact that it should -- it sounds more like Ladytron than the Broadcast we know and love. “Before We Begin” is Burt Bacharach on acid; “Man Is Not a Bird” and “Lunch Hour Pope” are both similarly peppy. Contrast that to the percussive assault of “Black Umbrellas” and “Distorsion.” Their playful experimentalism is definitely still at work, and though the tracks are of excellent quality (miles better than most pop music out there), the songs on <I>Ha Ha Sound</I> don’t feel as strong as some of their earlier work. "Valerie" borrows liberally the theme from <i>Valerie and Her Week of Wonders</i>, a Czech film from 1970. Like Stereolab, Broadcast are, if nothing else, a great "gateway band".